nParallel believes that demonstrating the benefits of a client’s products doesn’t always have to be overly complicated or costly, sometimes simple is truly better. SENSR provides cost-effective structural health monitoring solutions for bridges, buildings, and remote structures to collect dynamic responses in real-time. 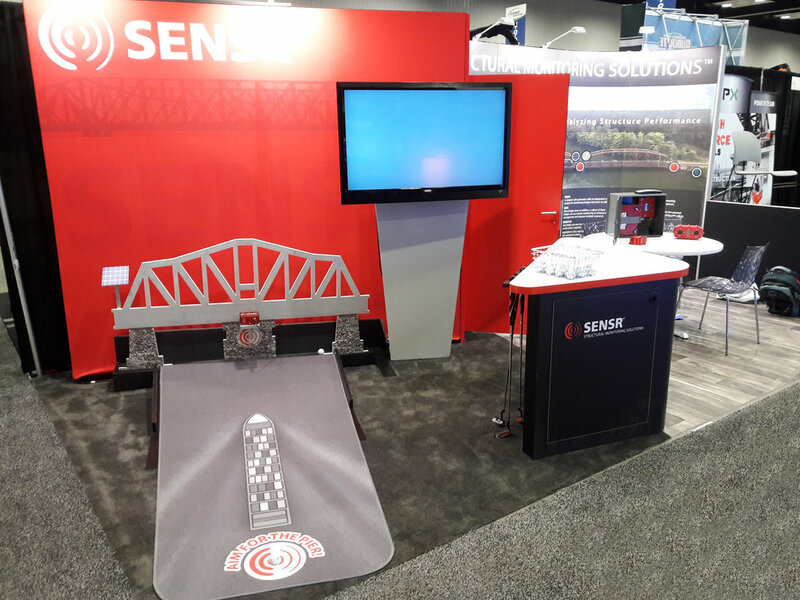 SENSR’s agency InQuest Marketing approached nParallel to create a 10x20 custom rental exhibit solution for the Railway Interchange show including a display that would demonstrate to exhibit attendees how SENSR’s structural monitors measure the impact of a strike to a railroad bridge pylon. nParallel developed a simple, fun and engaging golf putting style game to showcase SENSR’s technology. When the event arrived, nParallel designed, engineered, fabricated and installed the simple solution on the trade show floor. Potential customers visited the exhibit, hit the golf ball, and if the ball hit the example bridge pylon with the SENSR target logo, it would sense the hit to the bridge and read the impact to the structure. 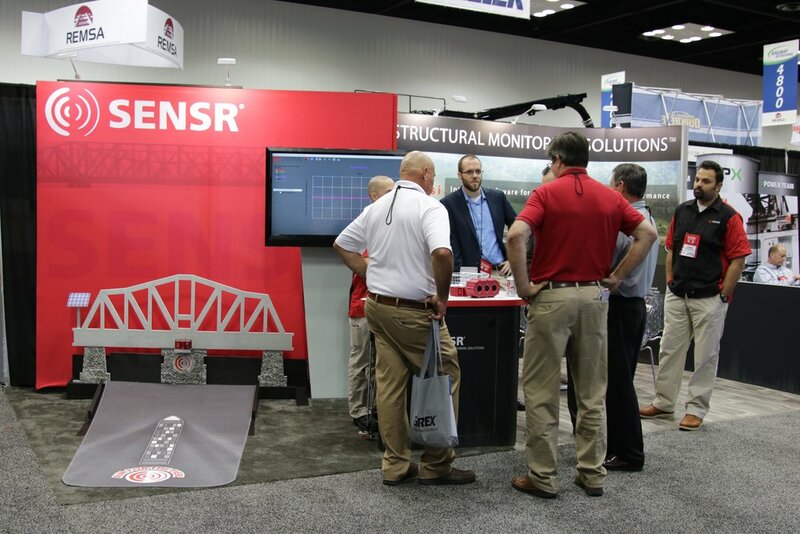 The impact was displayed on a large flat screen monitor – a true demonstration of SENSR’s technology and how it monitors the conditions of railroad bridges and other structures. This simple and easy demonstration of cause and effect was an incredible way to show SENSR’s offering. The team at SENSR raved about the outcome and were so pleased with the results and conversations that took place that they wanted to bring the golf simulation back to the office to use for future sales opportunities.